Sunglasses from Sun Buddies made in collaboration with Stüssy. 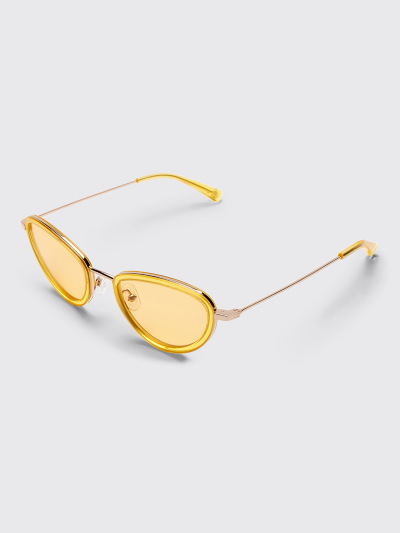 Cat eye 90’s inspired metal/acetate frame in a strong yellow color way with gold colored metal, handmade of stainless steel and Italian acetate. 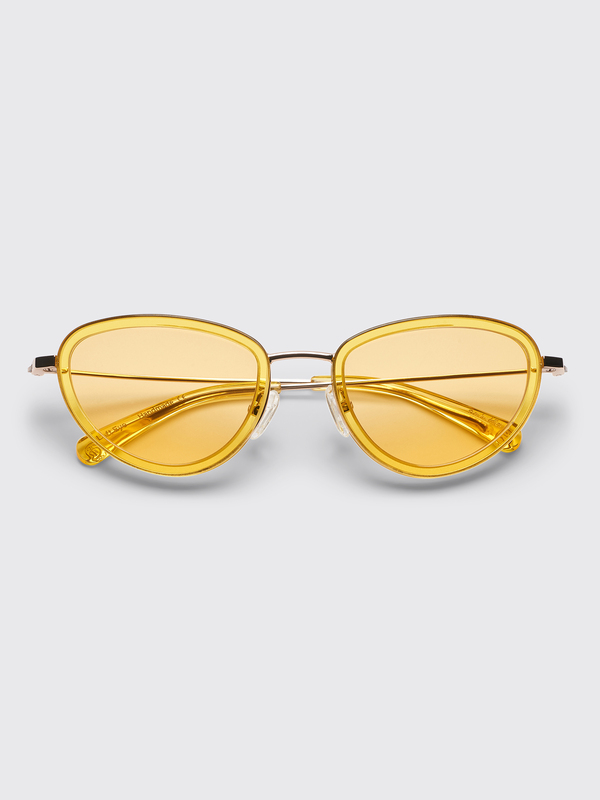 Yellow Carl Zeiss lenses with 100% UV protection and a three bar hinge. Stüssy logo on the side of the temple tip. 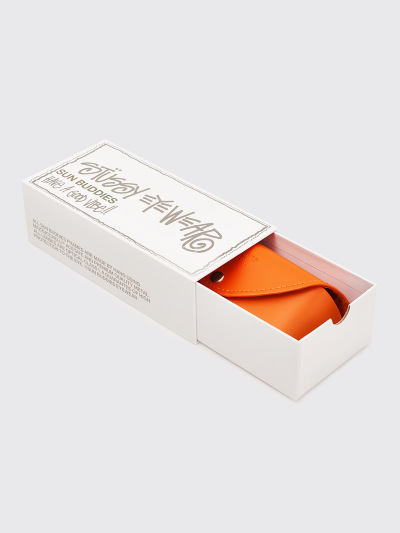 Comes in a branded sliding paperboard box and an orange faux leather case. Yellow transparent and gold sunglasses. 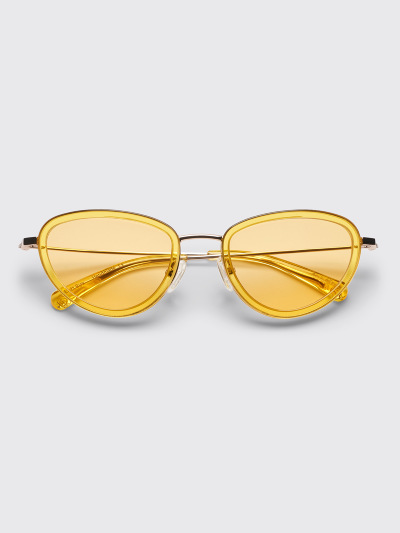 Made from stainless steel with yellow colored Carl Zeiss Vision lenses. 100% UV protection. Measures 51 x 21 x 135 milimeters.